Access the CARE You Need. Our commitment is to your health. Are you at risk of developing colorectal cancer? Click below to determine your level of risk. Whether you need to find the nearest clinic or hospital, or want to know more about which facility or doctor is best, these below websites can help you find your answers. HRSA Health Centers care for you, even if you have no health insurance – you pay what you can afford based on your income. Health centers provide services that include checkups when you are well, treatment when you are sick, complete care when you are pregnant, immunizations and checkups for your children, and more. Hospitals are ranked regionally in both states and major metro areas. Within a state or metro area, regional rank is determined by a hospital's performance in the national rankings analysis and by its scores across each of the nine procedure and condition areas evaluated. Consumers have a right to access information about the quality of health care provided in Illinois. This website can help you to become a more informed consumer and to make better health care choices. You can access information on quality and safety data, nurse staffing, patient satisfaction and costs of services in hospitals and surgery centers. Information on over 6,000 hospitals. Find the nearest hospitals in your area and view what services each provides. Search with by using your full address, or city and state, or just your zip code. Hospitals that are closest to you will show on a map. 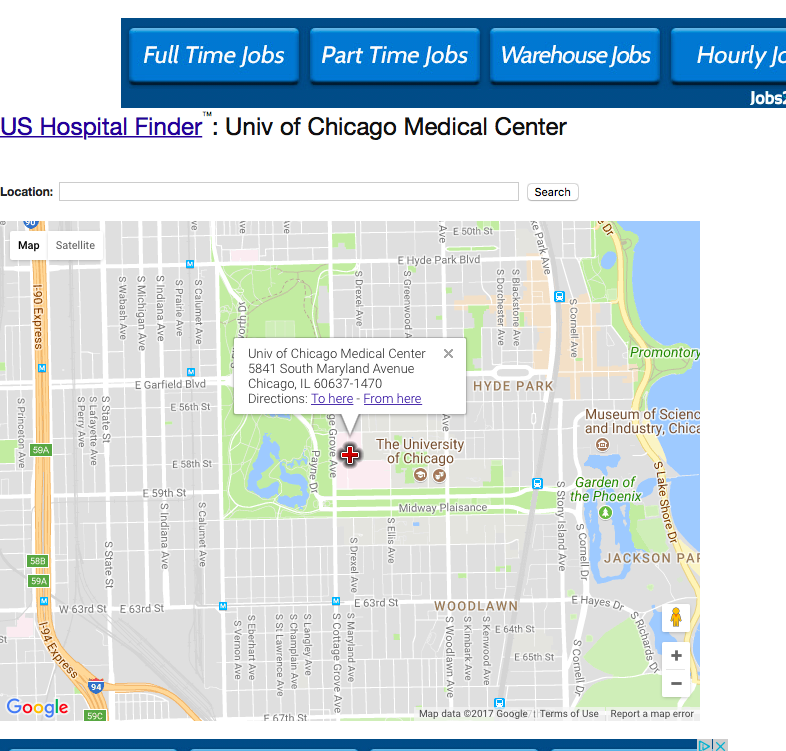 You can then click on a hospital to get its details (e.g. address, phone and services) and directions. With a vision to have a city of thriving communities where all residents are able to live healthy lives, the mission of the Chicago Department of Public Health is to promote and improve health by engaging residents, communities and partners in establishing and implementing policies and services that prioritize residents and communities with the greatest need.